The bright reddish star marking the shoulder of Orion, the mighty hunter, is a mighty workaholic. If it's clear outside, you can see it tonight. Born as a super-massive star millions of years ago, Betelgeuse*, is now nearing the end of its life and has expanded to become red supergiant star. But it is still working hard to build the wealth needed to support future generations of stars within our galaxy. Imagine you could be deep inside Betelgeuse, near its core – the star’s storehouse. You could watch the star constructing heavier and heavier elements – hydrogen to helium to carbon to oxygen eventually all the way to iron. 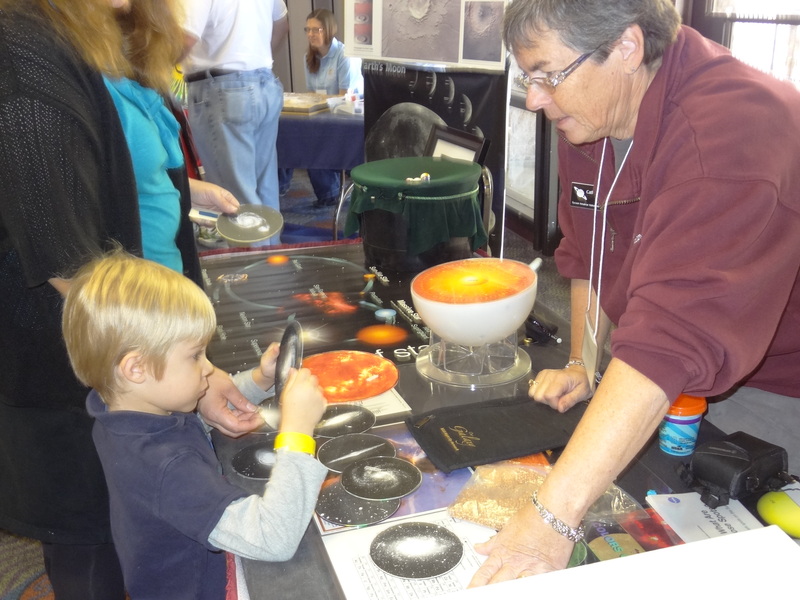 It is assembling and storing away many of the elements needed to build the next generations of stars, rocky planets, and life, like you! But how does that wealth of elements get out of that storehouse deep inside the star? Well, that’s the next phase in the life of Betelgeuse. Betelgeuse will eventually explode as a supernova blasting its store of heavy elements out into our galaxy - providing the raw materials for future stellar generations. This explosion might happen tonight . . . or within the few hundred thousand years or so. 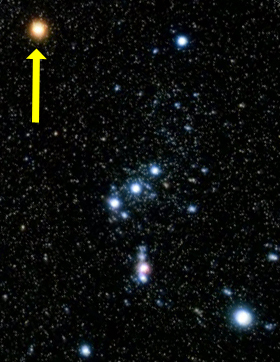 Keep watching – you might witness the moment Betelgeuse flings its wealth back into the community of stars. 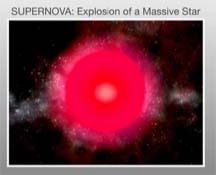 Click here to watch a red supergiant go SUPERNOVA!